This book does not get involved in the debate about guilt or innocence or retribution. Here we look at the colossal error that was made in taking the trial to Camp Zeist in Holland. We look at why the case should have been tried in Scotland where the crime took place. 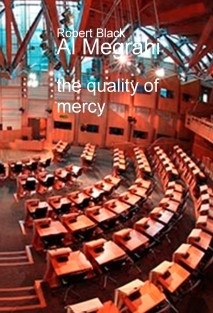 The author's view is that a series of errors and ineptitudes led the Scottish authorities of the day to yield to international pressure and conduct a bogus trial. We examine the reasons why a "Scottish trial" could not take place in the form it did and question the validity of the outcome. Finally, as a Scot who has been deeply embarrassed by the whole affair, Robert Black explains why many Scots are in agreement with the decision to allow the accused man to return home.